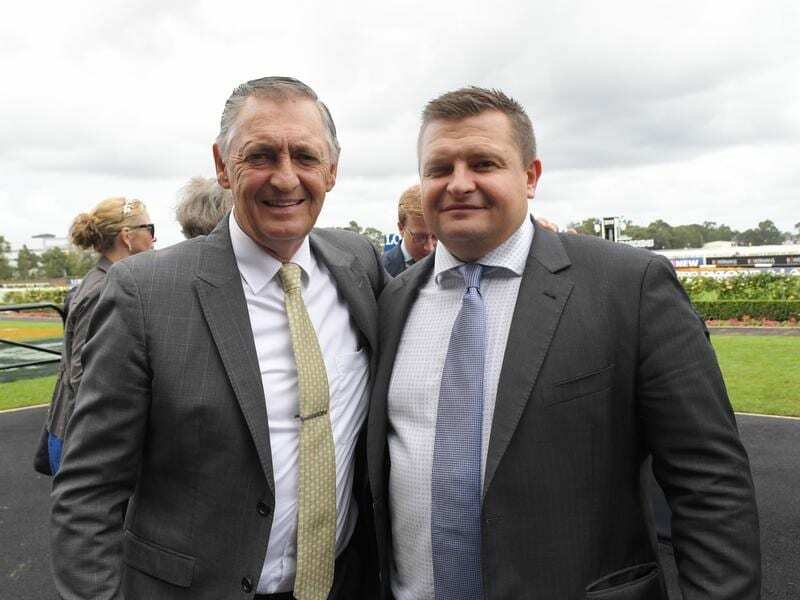 Trainers Peter (l) and Paul Snowden will have three and possibly four runners in the Golden Slipper. But Snowden admits he got it wrong with Catch Me in last month’s Group One Blue Diamond at Caulfield. Catch Me was one of the early season stars in the juvenile ranks with a dominant win in the Gimcrack Stakes, Sydney’s first race of the season for two-year-olds last September before returning from a spell to win the Blue Diamond Preview for fillies in late January in Melbourne. “I did the wrong thing putting the blinkers on her,” Snowden said. “I just thought it was a matter of her just being field shy. She is a little bit quirky, she’s got a quiet nature but as two-year-olds are they’re still learning what it’s all about and I tried to force the issue come Blue Diamond day and put blinkers on her. It just backfired big time. Her stablemate Cosmic Force, who won last Saturday’s Pago Pago Stakes on heavy ground by more than seven lengths, is the favourite while stablemate Anaheed has legitimate claims having won the Sweet Embrace Stakes and been proven on wet ground. “I was in two minds what to do with her. I brought her back to Sydney and just put her back in her old stable with the same routine as what we were doing before,” Snowden said. “You can’t take away what we saw last Saturday,” he said.